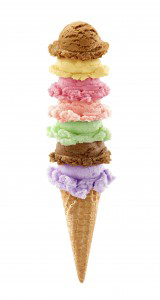 August has arrived and we are keeping cool at Marcel's with ice cream! The ice cream truck is pulling up and parking in our south window for another fun summer display and we invite you all to join us for our first ice cream social sponsored by Le Creuset. Other Glen Ellyn events to jot down on your calendars are the Festival of the Arts and one of our favorites, the Backyard BBQ. 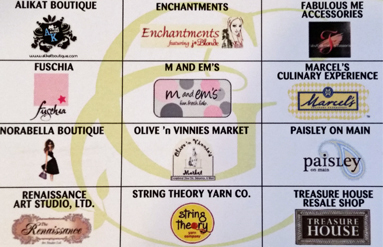 If you haven't yet heard of the Glen Ellyn shopping card, we have oulined all of the details for you; we know this is a deal that Marcel's customers will not want to miss! Our friends at Swiss Diamond must have seen the amazing success of our Well Loved Pots & Pans Exchange this spring since they are sponsoring their own Buy Back program. Also, we are thrilled that Le Creuset is rolling out some exclusive colors until the end of the year. 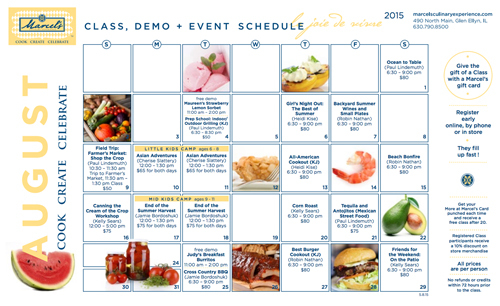 Perfect your summer entertaining menus with our August classes highlighting BBQs, bonfires, corn roasts and canning! Join us for the Ultimate Sundae Bar! Swing by at any time all day and we will be scooping fab flavors; customize your treat with an array of our favorite toppings. 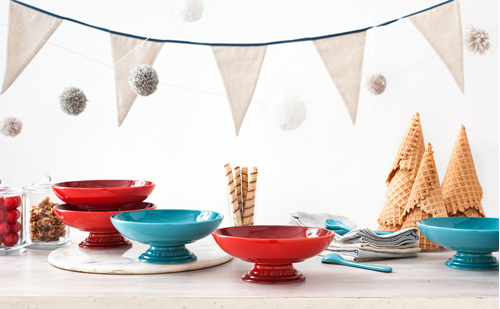 Enter to win Le Creuset Ice Cream Bowls and Spoons from their colorful new stoneware collection. 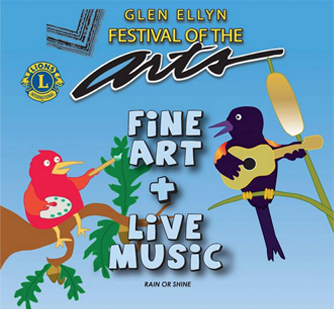 Plan on spending part of your weekend at the 46th Annual Festival of the Arts sponsored by the Glen Ellyn Lions Club, held this year at Maryknoll Park. Admission is free and everyone is welcome to enjoy this rain or shine annual event. More than 80 juried artists will be displaying their wares. Food, music and fun for the entire family! Come on down to Glen Ellyn's 7th Annual Backyard BBQ! This family-friendly free event is a celebration of smokin' food, friendly competition and great live music. The festivities kick off at 10 am and the party lasts until 9pm. Proceeds benefit Bridge Communities. Support your local merchants and the Alliance of Downtown Glen Ellyn by joining the Shopping Club! 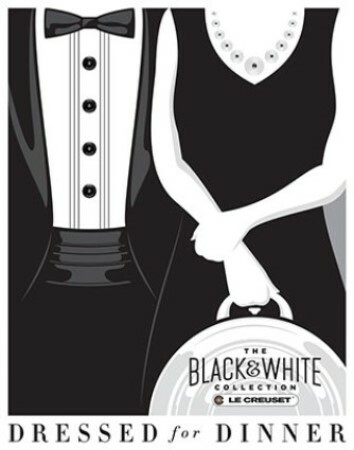 It is simple - purchase the card for $30 and receive $10 off of every $50 spent across 12 Glen Ellyn boutiques. Limit one discount per participating vendor. Card expires June 30, 2016. 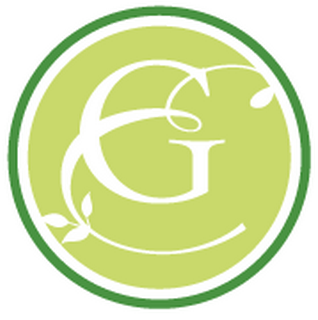 The Alliance of Downtown Glen Ellyn is a retail partnership funded by The Village of Glen Ellyn and local Glen Ellyn businesses. Glen Ellyn’s independent retailers face enormous competition from shopping in metro Chicago and online. To help offset this competition, the Alliance works to increase foot traffic and sales by planning events and heightening awareness of downtown Glen Ellyn as a welcoming shopping and dining destination for residents and vistors from surrounding communities. Shop Local! Start planning your next fancy dinner party. 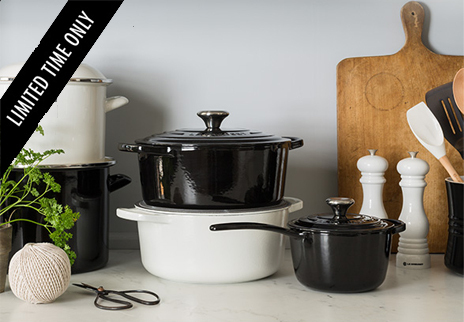 Le Creuset is re-introducing their stunning line of Black & White enameled pieces which will be available only until the end of 2015. Both neutral colors are luminous and add a sophisticated refinement to the kitchen. It's in the store today and even more beautiful than we had expected! Come take a peek - it's going to be gone before you know it! Meet the newest olive oils to hit the shelves at Marcel's! The unique combination of old world Italian expertise and four generations of farming in California's fertile soil enables the Ricchiuti family to craft the highest quality of fresh organic extra-virgin olive oil. 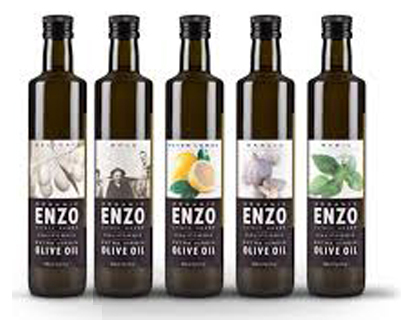 Choose from Delicate, Bold, Meyer Lemon, Garlic & Basil from Enzo Olive Oil. Come in for a sample today! 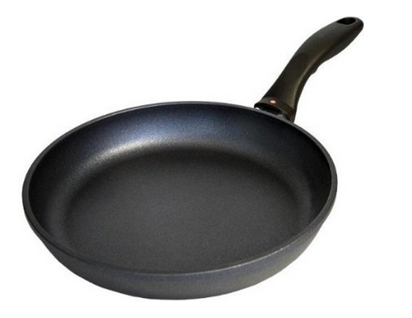 Looking for high-quality non-stick cookware? Stock your kitchen while giving back! Bring in one pan of any brand to receive $20 off Swiss Diamond purchase of $80 or more. Donations will be given to the local Goodwill. on the versatile 9.5" Fry Pan. Celebrate summer by throwing the ultimate outdoor party featuring the Kamado Joe ceramic grill! Chef Heidi combines ease and great taste. Go big this year and make those must-have favorites new. With Glen Ellyn's very own Backyard BBQ just a few days away, it's time to brush up on your barbeque knowledge. Join Chef Jamie as he takes you on a tour of the different flavors, different cooking methods, different ingredients, and different cultural origins of America's best barbecue. Venture from the traditional to burgers with a twist. We'll grind our own meats to create the perfect burger mix, whip up the perfect toppings, and chow down with creative side dishes and end with a sweet finish. Soft sand, salty air and great waves are not the only reasons we love the beach. Join Chef Robin while you cook, create, celebrate, and discover dishes served best at the beach. Spread a beach towel, fill a basket and a cooler and call your best friends, we're heading beachside. The brief season when farm-grown ears of corn go straight from the truck into your kitchen is as anticipated as summer itself. Easy to prepare, and fun to eat, Chef Kelly is sharing kernels of wisdom for cooking and enjoying the season's sweet-salty, soft-crunchy staple. Farmer's markets are overflowing. You're polishing off berries by the carton and enjoying tomatoes right out of hand. Join Chef Paul for a tour of the Glen Ellyn Farmer's Market for a look at the freshest produce of the season. Once the purchases are made, we'll return to the store to prepare a delicious seasonal lunch with just-picked freshness. On the menu: No set menu for this class as it will be dictated by the availability of ingredients at the market. We will make your purchases and return to the Marcel's kitchen to prepare our seasonal lunch; a true farm to table experience. July and August are prime time for berries, and cherries, peaches, plums, and nectarines. One bite into a fresh-picked peach, juices running down your arm, nature's sweetness on your tongue, makes you wish summer could last forever, and it can (small pun intended!). Preserve the fruits and vegetables that are so plentiful from Farmers Markets, backyard gardens, and the local vegetable stands right now so you can savor and enjoy them later during the long, cold winter months. After preserving and pickling, we will create a meal from the produce we have "put up." A meal will be created using the pickles and jams we make in class: Pickled Heirloom Tomatoes, Pickled Peaches, Pickled Giardiniera, Plum Marsala Jam and Raspberry Mango Jam.